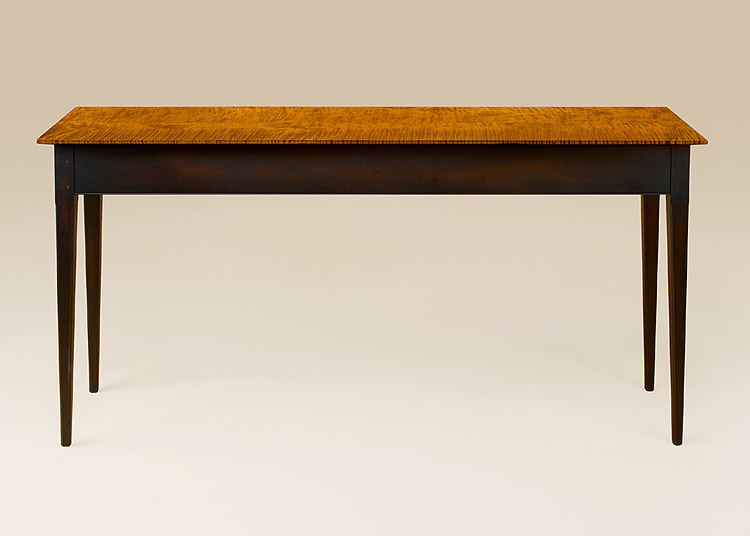 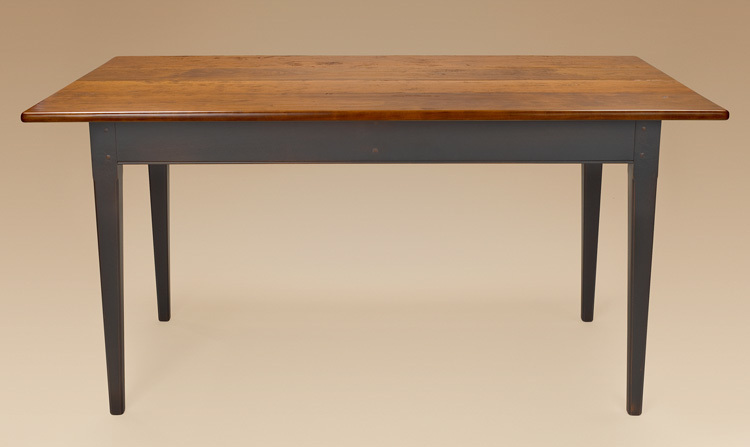 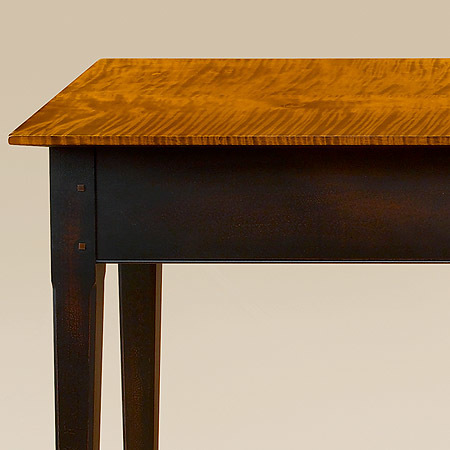 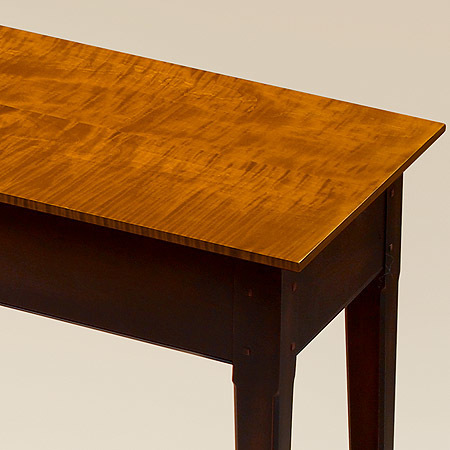 The Dorchester Hall Table has a sleek design with tapered legs and wonderful symmetry. 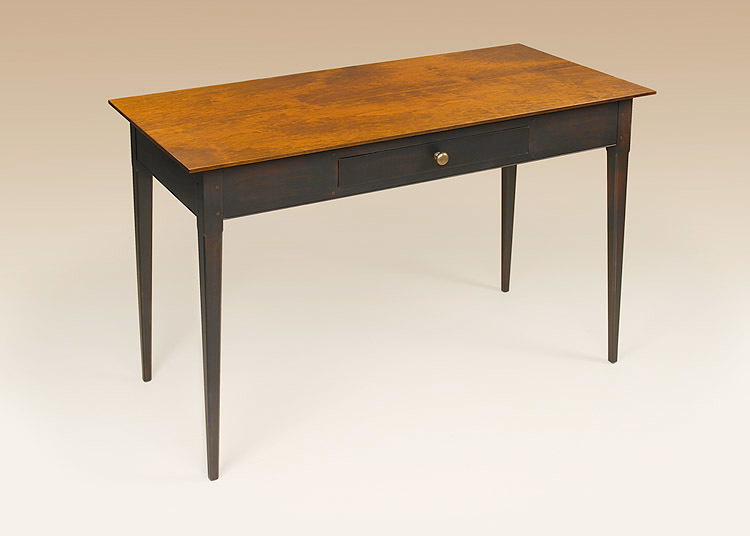 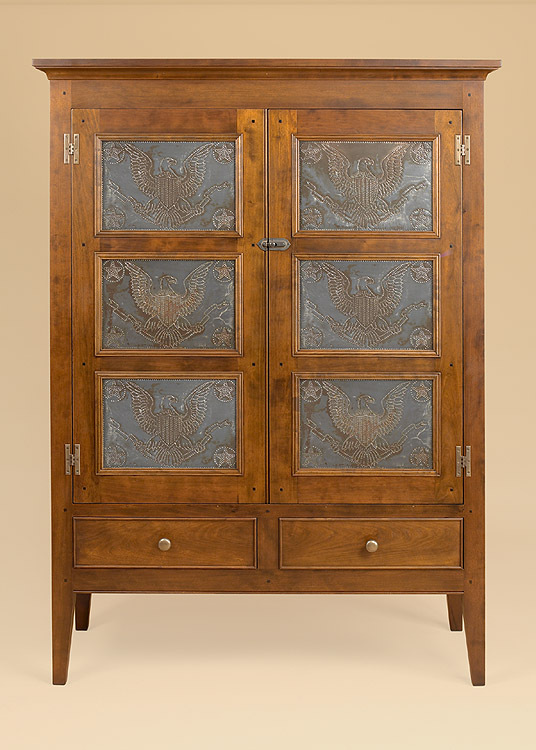 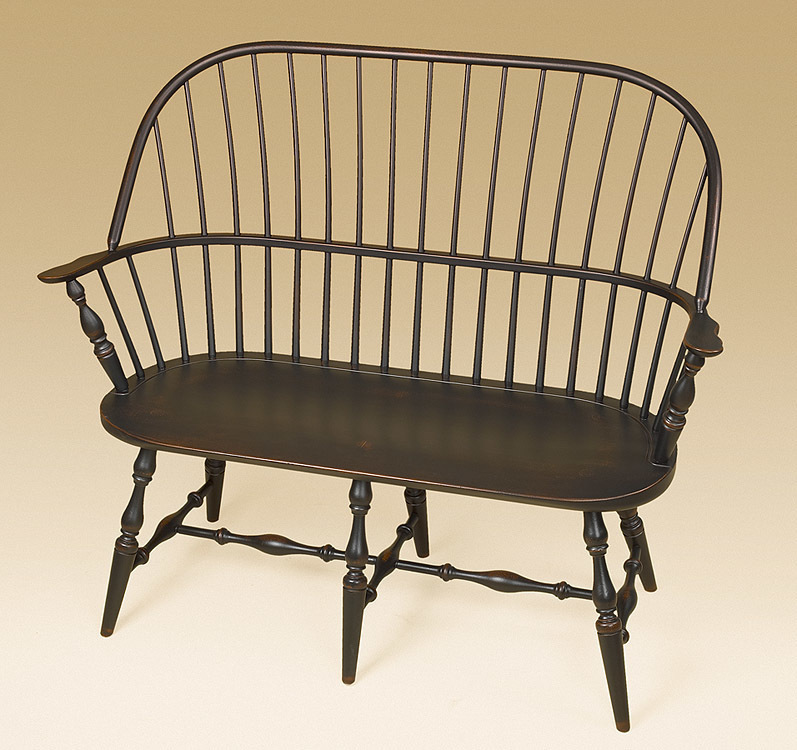 It is perfect for use in a hallway or as a sofa table. 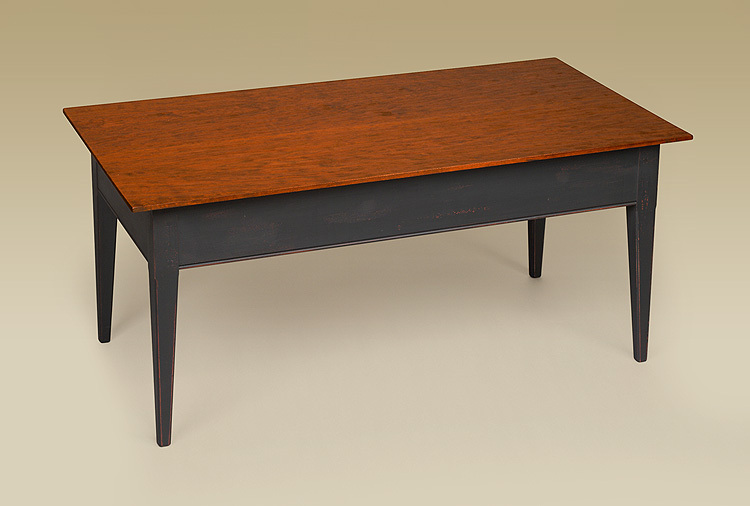 *Pictured with a tiger maple wood top with a antiqued black over red base.